spccial sealers include sanding sealer, dewaxed shellac, glue size (watered-down glue), and vinyl sealer. In this column. I'll identify five common finishing problems and the special scaler used to solve each of them. Problem #1: End grain keeps absorbing finish. After two or three coats, the face and edges of a board look nice and satiny, but the ends still look "hungry" and dry. Scaler solution: Glue size. 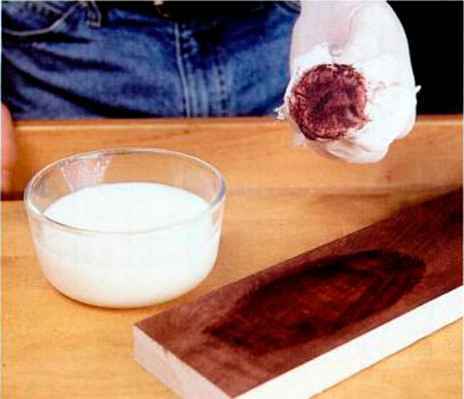 You can buy it, or mix your own by thinning hide glue, yellow glue, or white glue 50/50 with water. Brush a coat of glue size onto the exposed end grain, let it dry, and sand it smooth with 220-grit paper before applying your first coat of finish. Avoid getting the glue size on the faces and edges of the board. Problem #2: Stain and clear top coats won't cooperate with each other. The stain bleeds into ihe finish, or the finish doesn't stick to the stain. 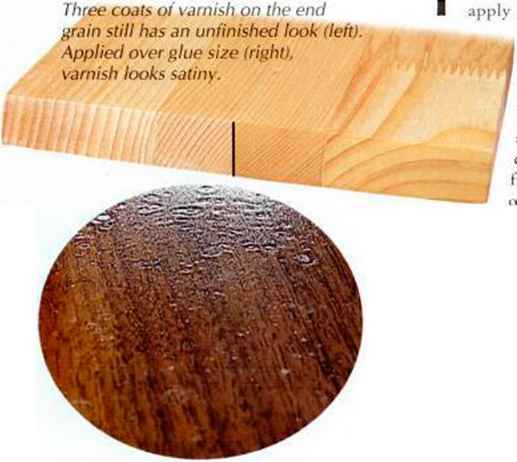 The first coat of finish that you apply to wood forms a thin barrier known as the i sealer coat. That bar-/ rier isolates all subse-1 quent coats of finish from the wood. Those subsequent coats arc called top coats. 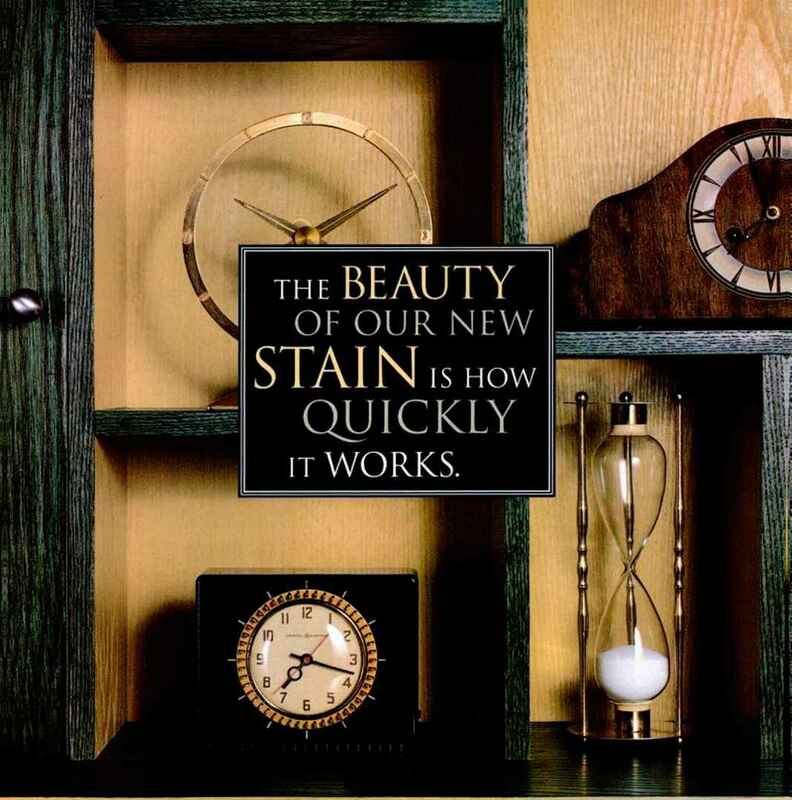 Any finish that forms a film - over wood acts as a sealer, whether you apply it over raw, stained, or filled wood. As .i rule, your objective in finishing is to seal the wood against moisture and dirt with the first coat, and then build protection and beauty with subsequent coats. In some cases, such as when you use Danish oil. 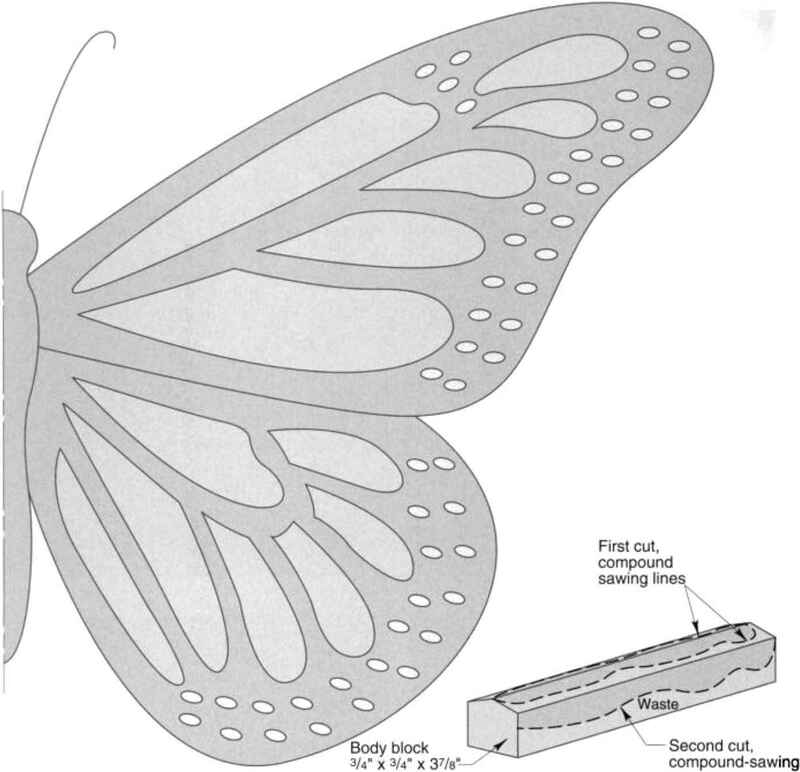 you may need two coats to completely seal the wood, and the third coat starts building the film. Fisheye. If Ihe wood surface is contaminated, you'll get "fisheye" spots showing through a waterborne finish. Seal with shellac first. Three coats of varnish on the end grain still has an unfinished look (left). Applied over glue size (right), varnish looks satiny. Bleeding dye. Water-based dyes can "bleed" into the finish— and onto your brush or rag. Seal in the stain with shellac. 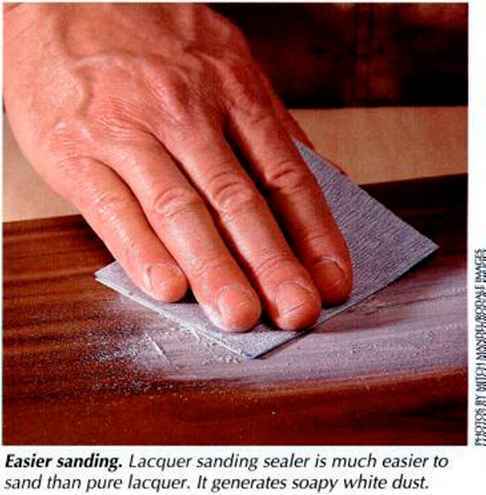 Easier sanding. Lacquer sanding sealer is much easier to sand than pure lacquer. It generates soapy white dust.